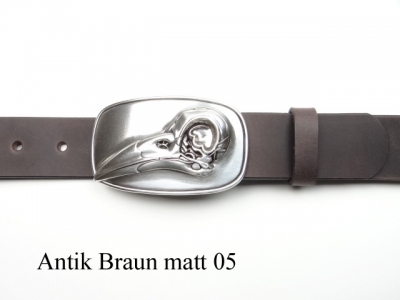 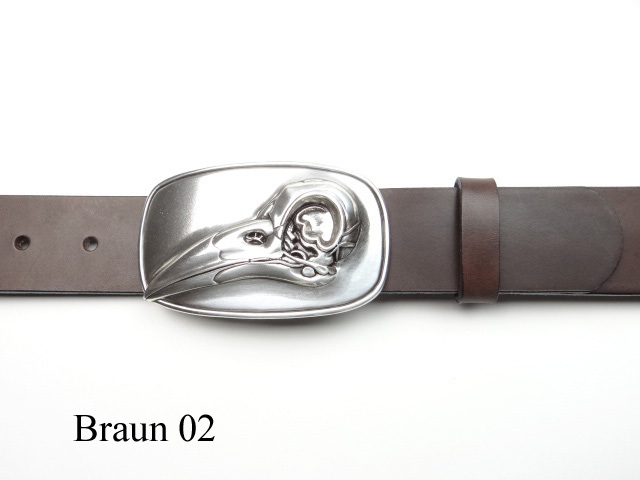 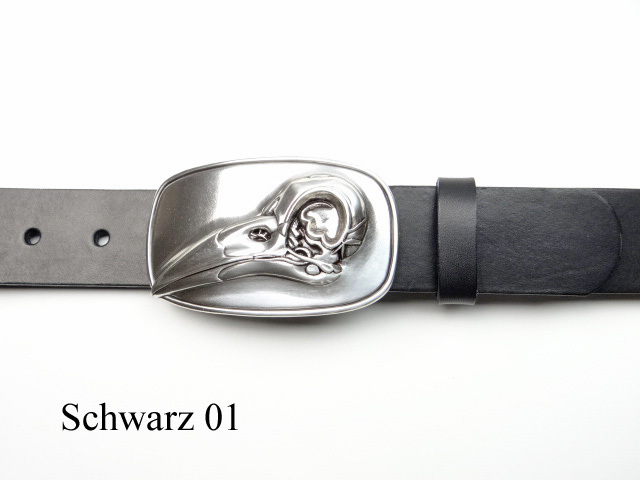 High-quality, silver-plated belt buckle and leather belt. 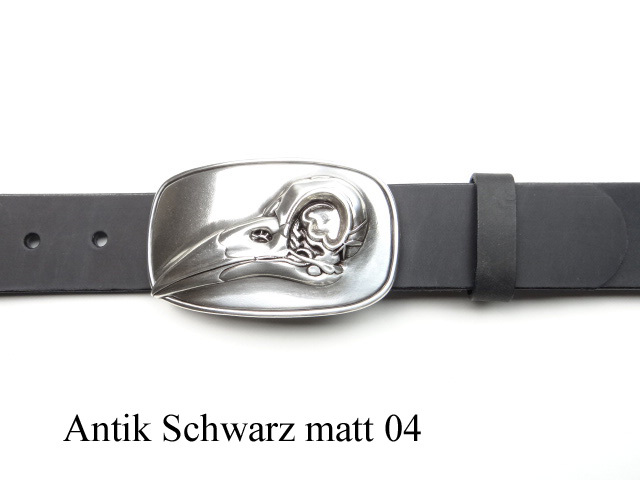 The buckle is nickel-free and the belt is available in our 5 different strap colours. 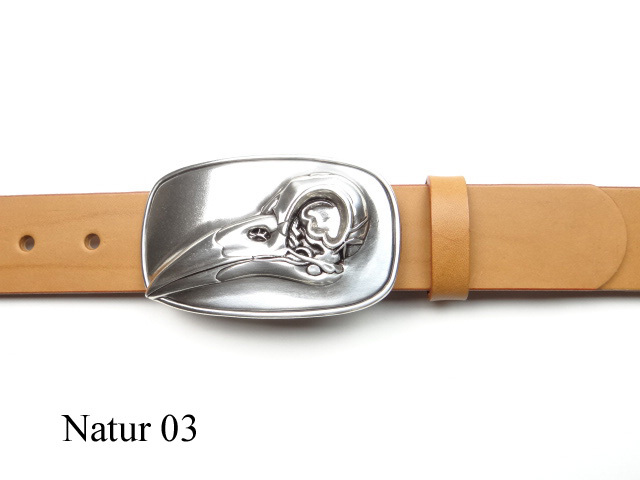 The leather belt is hand made from naturally tanned premium cowhide to your specifications. 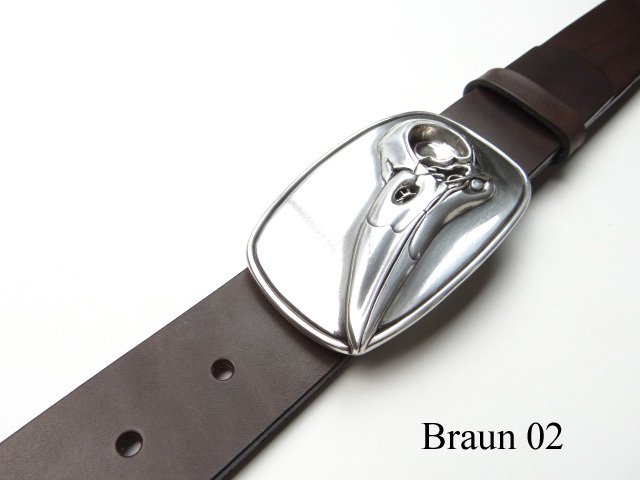 In combination with this unusual and finely crafted buckle it is certainly an eye-catcher.